A PTA Global certified trainer, Jesse specializes in weight loss and high-endurance functional strength. He is an active adventure racer and knows what it takes to finish, as well as what you can find in yourself when you do. He employs a wide variety of training methods, and works closely with his clients to ensure they are challenged at every turn, while making constant progress towards their personal goals. He knows that every story starts at the beginning, and his goal is to see it through to the end. 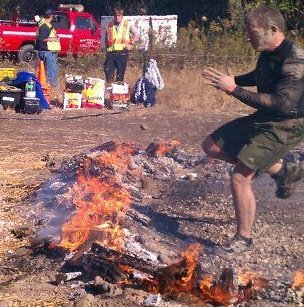 Jesse is also one of the only certified Spartan Coaches in the Chicagoland area, and help to run our Spartan Fit training on Sundays. Jesse is also the instructor for the Tuesday and Thursday morning bootcamps.